Senior Benefit Services, Inc. GTL's Precision Care Cancer Plan Offers a Fillable Postcard - Senior Benefit Services, Inc. 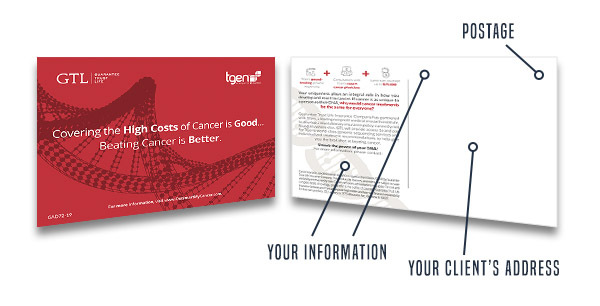 Looking for another way to inform clients about GTL’s revolutionary Precision Care cancer insurance? Download GTL’s new fillable postcard, type in your information and your client’s address, print it off and you now have another way of reaching out to your clients. It doesn’t get much easier…just type, print and mail!